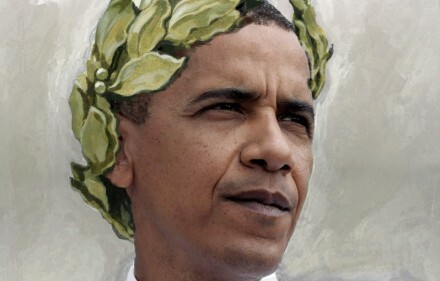 Is “Emperor” Obama Poised to Grant Illegal Immigrant Amnesty by Executive Order? The rumor swirling around the Beltway is that once again the President is poised to go against the will of the American people, this time on Amnesty for Illegal Immigrants. All polls show that American citizens want the government find a way protect the US borders before dealing with the illegal immigrants already in the country. This time according to the scuttlebutt, unlike the health care bill, Obama does not have the Congressional votes to shove his policy down the throats of America, so he will go around Congress and the American people and issue an executive order granting amnesty to the 12 million potential Democratic Party Voters Illegal Immigrants in the United States. Why would the president make this move when such a vast majority of Americans would be against it? Probably the best explanation could be given in this video published on this site before featuring SEIU Vice President Eliseo Medina, who explained that granting citizenship to millions of illegal aliens would expand the “progressive” electorate and help ensure a “progressive” governing coalition for the long term. “We reform the immigration laws, it puts 12 million people on the path to citizenship and eventually voters,” Medina said during his speech at a June 2009 Washington conference for the liberal America’s Future Now! According to a report by the Center for Immigration Studies report, “Immigration, Political Realignment and the Demise of Republican Political Prospects,” of recent immigrants who became citizens by 2008, by a margin of 55-31 they identified as Democrats. Among immigrants who had not yet become citizens, 70 percent identified as Democrats and 15 percent as Republicans. If the economy continues to be in the crapper, President Obama will need these votes in 2012. If it happens, this move will be made not because it is the right thing to do for the country, but because it is the right thing to do to continue the progressive takeover of the United States.